Facial oils are really hot right now. So many brands are coming out with their version of facial oils, and you know it’s a hit product when even mainstream brands get in on the act. I’d actually used rosehip oil many years ago, as a teen, but wasn’t quite educated on the best way to use it, so I really hated it because it was so damned sticky! I returned to facial oils a few years back, when I found that my skin was turning drier, and with a little trial and error, have worked out the best way to use them. 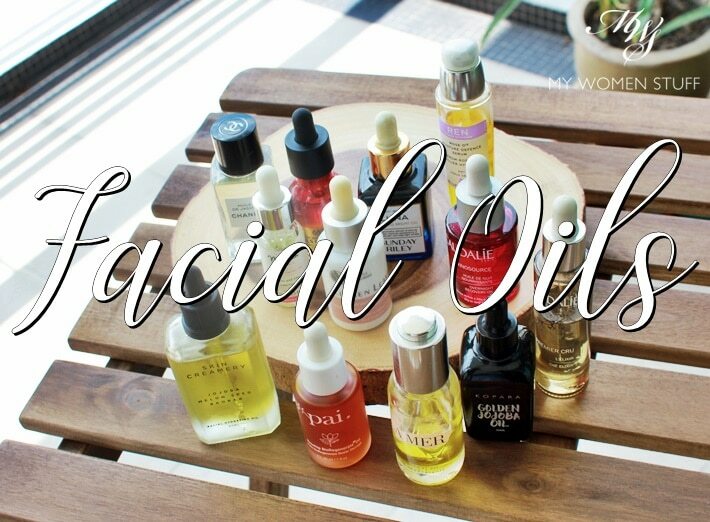 I now love facial oils, and I’m always looking out for the next one to try! 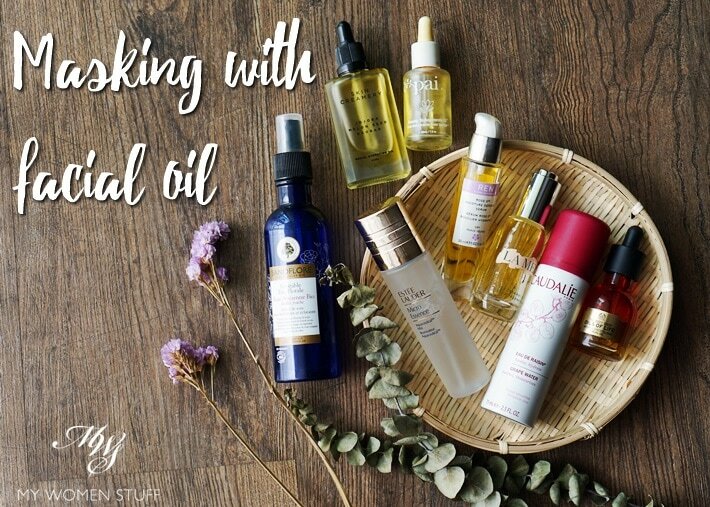 I thought I’d give you a run down on the oils I’ve used (some older ones won’t be included as I no longer have or use them, so I can’t talk about them) to give you an idea of what sort of oils I like, and how I use them. It is non-exhaustive, as I have more to showcase in time to come! Just briefly, despite what we might think, oils are actually good for our skin, not only dry skin, but even oily or combination skin types can benefit. You just have to find the right oil for your skin and that you feel most comfortable using. Naturally, drier skin types will benefit more from using facial oils, as it helps to rebalance your lipids and nourish your skin, so it stays more supple and moisturised. Does it take the place of a moisturiser or a serum? Personally speaking, I’ll say no. I use a moisturiser or cream over my oils to seal them in. Opinions vary on this, where some people say that the oils go on last, but I’m sticking to my way, because it works for me both physically, and logically. If you have oily skin however, you may just want to end off with the oil and skip moisturiser, as anything else on top may feel heavy. I’ve been meaning to update my day and night skincare routine for a while (my last was in 2014!) Goodness, I hadn’t realised that it was so long ago! I’d been trying to write a post about my skincare routine for a while, but what with one thing and another, never got around to writing it. 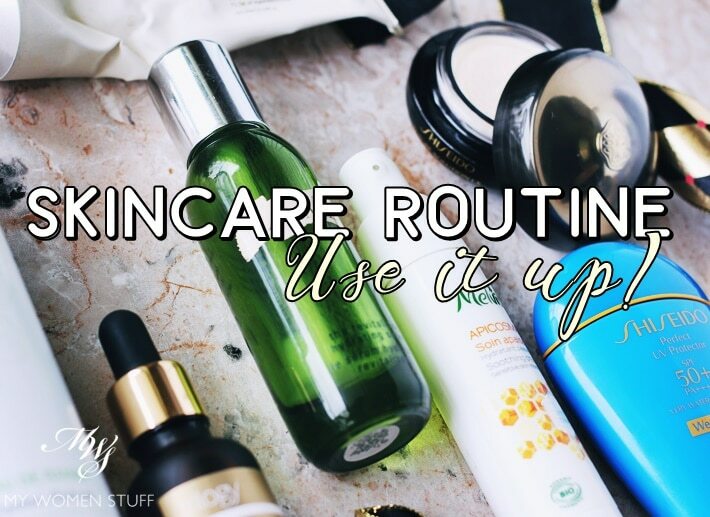 I also get a lot of requests to share the products I’m using in my routine. The thing is, a lot of my basic routine remains pretty constant. The products change from time to time, depending on my skin needs, how I feel etc. So, instead of just sharing my skincare routine once a year, which will change, I’ve decided to keep to an evolving skincare routine post. I’ll endeavour to share my routine every 2-3 months. It’ll give you an idea of what I’m using, how they work for me, how I use a product or fit it into my routine, and it’ll give me a point of reference as well. Also, it’ll allow me to highlight certain products that I may not dedicate a full post to. Win, all around methinks! For starters, here’s my skincare routine that I’ve been doing for the past month or so. I had a much more complicated routine before this. But about a month ago, I noticed that the skin on both my cheeks were taking on a very bumpy feel. It wasn’t visible, but the texture of skin had changed, and any glow I had was gone. Naturally so, for the skin was uneven, even if unnoticable to someone else. I was very upset. I’ve got a quick skincare tip for you today, which is one that forms the central part of my lazy day skincare routine. Oh yes, I get those, and as diligent as I am with my skincare, there are days when I just want to vege out. You know those days? When even spritzing on a facial mist seems like too much effort. Well, I’ll share with you what I do in this instance. You only need 2 ingredients (faster than baking a cake! ).